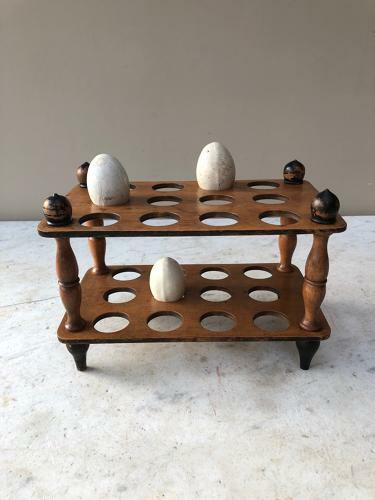 Quality Victorian Treen Two Tier Egg Rack. One Dozen Eggs on each level...lovely turned column supports. Very sturdy...great colour and no worm.